The current enterprise architecture (EA) theory originates from the Business Systems Planning (BSP) methodology initiated by IBM in the 1960s and describes EA as a comprehensive blueprint of an enterprise organized according to a certain framework and describing the current state, the desired future state and the roadmap for transition between them. However, in this paper I demonstrate that the current EA theory poses more questions than answers and is, arguably, in an unsatisfactory state. This paper highlights the critical questions in EA research and is intended to spark further conversation in the EA research community. All the formulated questions address the fundamental aspects of the current EA theory that are critically important for the whole EA discipline. Although this paper does not propose any answers to these questions, it makes a non-theoretical contribution to the EA discipline by critically evaluating the current EA theory, provoking new thoughts and stimulating further research that will substantially alter the EA discipline in the future. 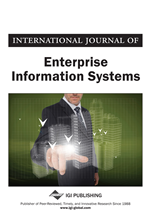 Information systems play a critical role for the business of many modern companies. Many organizations invest substantial amounts of money in IT projects and systems. However, the maximum payoff from these IT investments can be achieved only if the IT strategy of an organization is aligned with its business strategy (Byrd, Lewis, & Bryan, 2006; Gerow, Grover, Thatcher, & Roth, 2014). Enterprise architecture (EA) is a description of an enterprise from an integrated business and IT perspective intended to bridge the communication gap between business and IT stakeholders and, thereby, to improve business and IT alignment and deliver other organizational benefits (Bradley, Pratt, Byrd, & Simmons, 2011; Schmidt & Buxmann, 2011). Presently EA as an instrument for information systems planning is used in the majority of large organizations (Ambler, 2010; van der Raadt, Slot, & van Vliet, 2007) and, if used properly, greatly contributes to their success (Ross, Weill, & Robertson, 2006). The current EA theory originates from the Business Systems Planning (BSP) methodology initially proposed by IBM in the 1960s (BSP, 1984; Kotusev, 2016; Sidorova & Kappelman, 2010; Spewak & Hill, 1992). The EA theory explains EA as a comprehensive blueprint of an enterprise organized according to a certain framework and describing its current state, its desired future state and a roadmap describing how to migrate from the current state to the future state (Bernard, 2012; FEA, 2001; Spewak & Hill, 1992; TOGAF, 2011). The current EA theory suggests that EA is produced by a group of well-qualified experts called enterprise architects who firstly document the current state of an enterprise, then describe its desired future state according to its business strategy, analyze the gaps between these states and finally develop a transition roadmap (Armour, Kaisler, & Liu, 1999b; Bernard, 2012; Spewak & Hill, 1992; TOGAF, 2011). After being developed, EA is used by business and IT specialists for analysis, decision-making and system implementation (Bernard, 2012; Lankhorst, 2013; TOGAF, 2011). However, as I will demonstrate further in this paper, the current EA theory poses more questions than answers. Similarly to Chan and Reich (2007), in this paper I provide a review of the current EA theory and then discuss the most significant “blind spots” of this theory. The discourse in this paper is informational and deliberatively provocative. It highlights the critical questions in EA research and is intended to spark further conversation in the EA research community. Therefore, this paper does not propose any solutions to the discussed problems, but rather makes a non-theoretical contribution to the EA discipline by critically evaluating the current EA theory, provoking new thoughts and stimulating further research that will substantially alter the EA discipline in the future (Avison & Malaurent, 2014; Hambrick, 2007). This paper continues as follows: (1) I describe the current EA theory, (2) I discuss the most critical questions to the current EA theory and (3) I conclude the paper.